Robert N. Wilson Sr. 90 of Morgantown, Kentucky passed away Tuesday September 4, 2018 at his residence. Robert was born September 18, 1927 in Butler County Kentucky to the late Orville and Grace Rock Wilson and husband of the late Clemma Joyce Beliles Wilson. He was a member of Green River Baptist Church and a United States Army Veteran. Robert retired from International Harvester Co. and enjoyed reading his Bible and UK Basketball. Other than his parents and wife he is preceded in death by one great granddaughter Kenzleigh Dockery; one brother James Wilson and one sister Oma Ruth Daugherty. 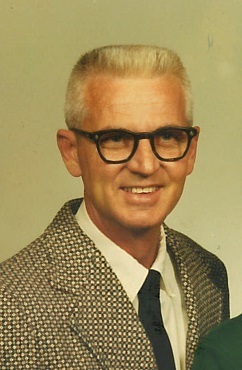 Robert N. Wilson Sr. is survived by two daughters Susan Gaskey and husband Randall of Morgantown, KY and Angela Embry of Morgantown, KY; one son Robbie Wilson of Morgantown,KY 11 grandchildren; 18 great grandchildren; one sister Gladys Tucker of Leitchfield KY and several nieces and nephews.